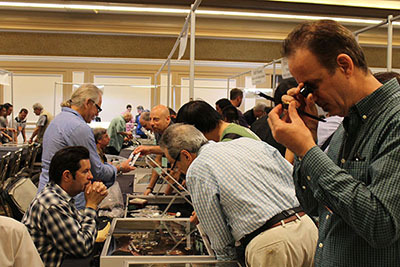 Welcome to WWT Watch Jewelry & Collectibles Shows! WWT hosts shows all over the USA in cities like Las Vegas, Los Angeles, Miami New York and more! Many of our shows precede the NAWCC regionals and ALL NAWCC National Conventions. WWT features dealer and member only entry times from 8 a.m. to 11 a.m. Whether you are a professional buyer, seller, or entry level collector, our shows are the place for you. We welcome all public buyers to bring your items for sale and show them to our world class exhibitors with extensive knowledge and resources to help determine value, origin an much more! Please sign up to the form below and we will add you to our mailing list!